Many new methods for the sequence-based prediction of the secondary and supersecondary structures have been developed over the last several years. 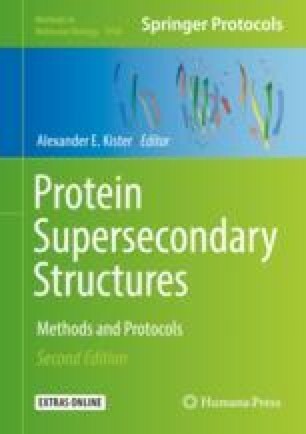 These and older sequence-based predictors are widely applied for the characterization and prediction of protein structure and function. These efforts have produced countless accurate predictors, many of which rely on state-of-the-art machine learning models and evolutionary information generated from multiple sequence alignments. We describe and motivate both types of predictions. We introduce concepts related to the annotation and computational prediction of the three-state and eight-state secondary structure as well as several types of supersecondary structures, such as β hairpins, coiled coils, and α-turn-α motifs. We review 34 predictors focusing on recent tools and provide detailed information for a selected set of 14 secondary structure and 3 supersecondary structure predictors. We conclude with several practical notes for the end users of these predictive methods. This work was supported by the Qimonda Endowment funds to L.K.